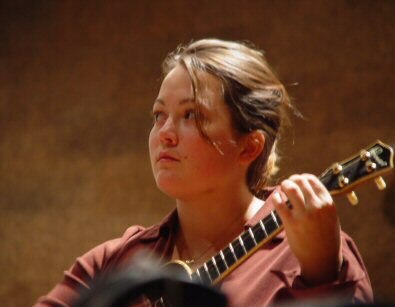 ¶ Sara Ullrika Watkins (born June 8, 1981) is an American singer-songwriter and fiddler. Watkins debuted in 1989 as the fiddler of the progressive bluegrass group Nickel Creek, which consisted of herself, her elder brother Sean, and mandolinist Chris Thile. As a band, they are notable for three wide-released albums: Nickel Creek, This Side, and Why Should the Fire Die?. Aside from singing and fiddling, Watkins also plays the ukulele and the guitar. ¶ With Nickel Creek, Watkins has released five studio albums, one compilation album, and seven singles. Nickel Creek is currently on hiatus to branch off into new projects, and Watkins is pursuing a solo career, having released her debut, Sara Watkins, on Nonesuch Records on April 7, 2009. 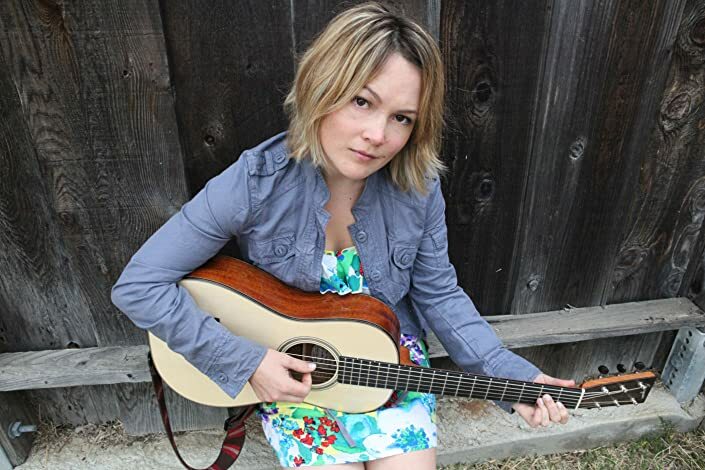 ¶ Sara Watkins, best known for her work in the Grammy Award winning band, Nickel Creek, completed her first solo album while the band is on hiatus. Her debut album was produced by John Paul Jones (Led Zepplin) and was released in April 2009 on Nonesuch Records. Sara is a frequent guest American Public Media program, A Prairie Home Companion. In the past few years, she has been on tour with John Prine, Donavan Frankenreiter, Robert Earl Kean, Dar Williams, Blind Boys of Alabama as well as Garrison Keillor's Summer Love Tour. In between tours, Sara performs at Largo in LA, where she and her brother Sean perform as The Watkins Family Hour with frequent guests including Benmont Tench, Greg Leisz, and Fiona Apple. ¶ Like her former Nickel Creek bandmate Chris Thile, Sara Watkins paints on a canvas called roots music, only to delve into any number of adjacent genres. Take "I'm a Memory," the best song on her fine new solo album Sun Midnight Sun: The fiddles and swelling momentum signify the country-pop crossover of Sugarland or Lady Antebellum, and the hooky and harmony-drenched chorus is poppy enough to make it a big hit, but there's grit and darkness to the song, too. As accessible and comfortably sweet-voiced as Watkins' music is, she's smart enough to spike it with surprises — the lovely strings in "The Ward Accord" or the churning, slow-burning electric-guitar grind in the nearly seven-minute "When It Pleases You." ¶ Watkins' flexibility has served her well outside her recording career, too. She's guest-hosted American Public Media's A Prairie Home Companion, played with Bela Fleck and Ray LaMontagne, toured as a member of The Decemberists and, with her brother Sean, put together a regular variety show at L.A.'s Largo. Those Largo concerts clearly led to some of the snazzier collaborations on Sun Midnight Sun — guests include Fiona Apple and Dawes' Taylor Goldsmith — but the album embodies her own versatility more than anything. She's a subtle star, but a star nonetheless. ¶ Sun Midnight Sun is the second solo album from acclaimed singer, songwriter, and fiddle player Sara Watkins. Produced by guitarist, singer, and songwriter Blake Mills, co-founder of the band Simon Dawes, the album features special guest appearances by Fiona Apple, Jackson Browne, Taylor Goldsmith (Dawes), Benmont Tench, and Sean Watkins. ¶ Sun Midnight Sun follows Sara Watkins' critically acclaimed 2009 self-titled solo debut produced by John Paul Jones. NPR said Sara Watkins "puts her great instrumental breadth on display as she plays the guitar, ukulele and fiddle in addition to her sweet-voiced singing," and the Kansas City Star called it a record "for anyone who likes the sound of a good singer and a good band hammering out good music." ¶ In the three years after her debut release, Watkins toured the world as guest fiddle player and vocalist with the Decemberists and joined Garrison Keillor on his nationwide Summer Love performance tours, as well as acting as his first and only guest host for A Prairie Home Companion broadcasts. Sun Midnight Sun was recorded, mixed, and mastered by Shawn Everett at Zeitgeist Studio, Los Angeles, and includes songs written by Watkins ("You and Me," "Take Up Your Spade") as well as several collaborations with Mills ("The Foothills," "Be There," "The Accord," "Impossible," and "Lock and Key"). It also features songs by Dan Wilson ("When It Pleases You") and Willie Nelson ("I'm a Memory"), and a rendition of The Everly Brothers classic "You're the One I Love," on which Fiona Apple duets with Watkins.